This is an up and down, up and down, up and down out and back. Nothing to it. From the start line, you'll head directly up the horseshoe to get the legs burning. Run the ridge, down the side hill, you’re blood has to be flowing. Up the interpretive trail, loop down and back to the main trail before heading back the same way you came. And remember, the horseshoe isn’t any smaller coming up it the other way. 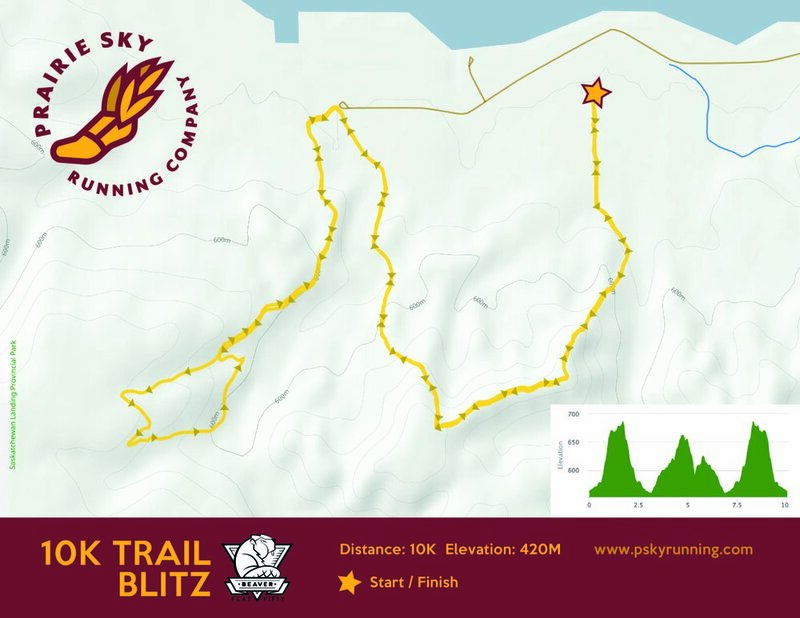 The 10k has a total vertical gain of 400 meters/1300 feet. Runners have access to Windsor Knot - Aid Station 2 at approximately kilometer 3 and 7.